It’s about time that action in mid-major MMA promotions ramped up for 2019. The Legacy Fighting Alliance, perhaps the largest developmental league around and a rather direct path for a fighter to take to the UFC, kicks off its year with its 57th event. The show lacks a title fight, but that doesn’t mean its headliner isn’t a potential audition for two featherweights who would like to land on the UFC roster. 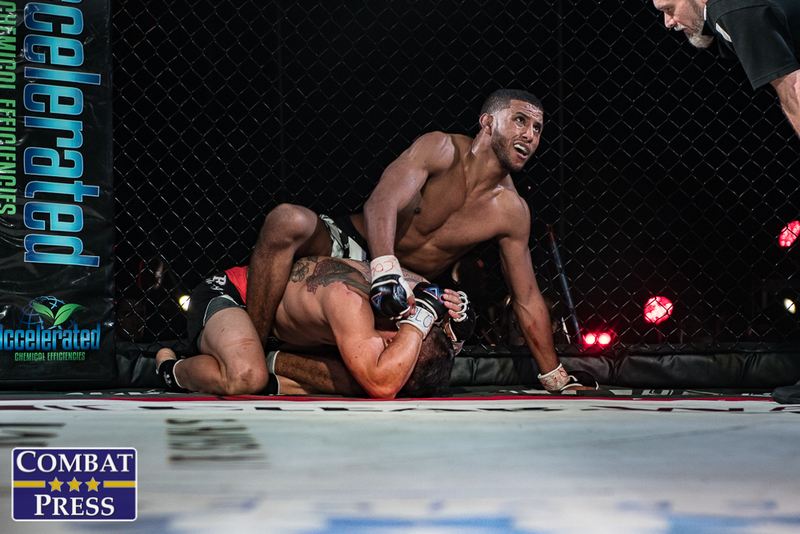 Youssef Zalal is the true prospect here after winning his first six pro fights, but his opponent, Jose Mariscal, could change his own life significantly if he can upset the kickboxer in Colorado. Zalal trains out of Factory X Muay Thai. “The Moroccan Devil” is only 22 years old and has a bright future ahead of him. Following a youth spent training in kickboxing, Zalal made his move to the pro MMA ranks in 2017 following a 4-1 run as an amateur competitor. He won his debut against fellow rookie Michael Santos and quickly began taking steps up in competition. He’s danced around Colorado, taking fights with various promotions and always emerging with a finish. Despite his striking background, Zalal has tallied five of his pro wins via submission. Over his last four outings, the Moroccan-born fighter has topped the likes of Clay Wimer (7-2 entering his contest with Zalal), Joey Banks (4-2), Daniel Soto (3-1) and Steven Merrill (5-3). Mariscal, who sports an 8-3 mark, continues Zalal’s progression up the food chain. The 26-year-old fighter had an outstanding 10-fight undefeated stint as an amateur. He turned pro in 2014 and won his first three fights, including a decision over the formerly undefeated five-fight veteran Max Bohanon. The Chicago-based up-and-comer finally hit a brick wall in his fourth pro fight, but it’s difficult to fault Mariscal for his first-round knockout loss to Gregor Gillespie, who remains undefeated to this day despite making five appearances with the UFC after ending his Ring of Combat run as the promotion’s lightweight kingpin. Mariscal ended up dropping a decision in his next fight against Frank Buenafuente, a World Series of Fighting veteran and future Bellator fighter, for the vacant ROC featherweight crown. He has surged back with three straight stoppages and a Hoosier Fight Club title win before stumbling again, this time to the undefeated Bryce Mitchell, who used the win as a launching pad into the UFC. Mariscal hit a rough stretch in which he had a Hoosier Fight Club title bout ruled a no-contest and then had three opponents fall through. This led to a 10-month layoff before he returned in the spring of 2018 with a split nod over Pat Sabatini and then a first-round submission of Lerryan Douglas later in the year. This contest could be a lot closer than it seems. Mariscal unsuccessfully challenged Gillespie for the ROC lightweight strap and then suffered a similar fate against Buenafuente for the 145-pound crown. His only other loss came to the aforementioned Mitchell, who now resides on the UFC roster alongside Gillespie. So, while an 8-3 mark might not look impressive at first glance, it’s hardly the sign of a mediocre fighter in this case. Mariscal, the IMMAF 2014 World Championships lightweight winner, is more than capable of testing Zalal in all facets of the MMA game. Zalal, who has also trained at Bobby Lashley’s now-defunct American Top Team affiliate, has developed into a top prospect after just a few short years in the sport. The 22-year-old is definitely considered to be the big name in this fight, and it’s his performance that the UFC is likely to watch. If he struggles with Mariscal, then the UFC might not be quite as interested. If he adds Mariscal to his list of stoppages, then it might just result in a contract offer from the big show. Mariscal has excelled as a pro, but in somewhat of a high-level regional gatekeeper spot. He served as one of Gillespie’s last pre-UFC opponents, Mitchell’s last opponent before he hopped into the Octagon and was edged by Buenafuente, who eventually fell to another future UFCer in Julio Arce. Zalal, who will enjoy roughly a three-inch height advantage, is another rising prospect that could prove to be just a tad too much for Mariscal. Zalal should show off his grappling chops and kickboxing en route to a submission finish. It’s not Road FC, but South Korea does have one notable MMA event this weekend. It comes from the far more obscure Annihilation promotion. It’s not a very strong offering — the second-best fight features a 1-0 prospect against a fighter with a losing record — but it does give us a look at light heavyweights Andrei Lenzhen and Doo Hwan Kim. Lenzhen is the slightly more interesting of the two men. The Russian fighter has slowly compiled his 9-2 record since debuting as a pro in 2013. He’s never cracked into even the top Russian promotions, instead plying his trade mostly under the Draka MMA banner. He won his first four fights, all by stoppage, before suffering a decision loss to Shamil Abdulaev and a first-round doctor’s stoppage defeat courtesy of 40-plus fight veteran Vladimir Katyhin. He returned to his winning ways in late 2015 and has gone on to win five straight contests, including four by submission. His most recent victory came against Ramazan Mukailov, who was 9-5 entering the fight. By contrast, Kim has seen plenty of action in promotions that have contributed to the development of a number of up-and-comers. 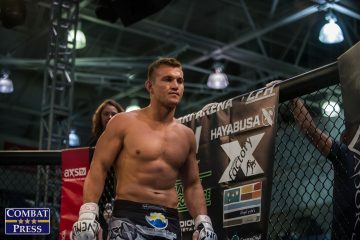 He made his pro debut in 2011 at an M-1 event, and he’s also appeared under the Pacific X-treme Combat, Cage Warriors, Top FC, Rebel FC, Absolute Championship Berkut and Hex Fight Series banners. The 30-year-old Korean Top Team disciple holds victories over the aforementioned Mukailov, the formerly undefeated Brandon Ropati and 50-plus fight veteran Hikaru Sato. He’s also seen action in losing efforts against undefeateds Jim Crute and Rasul Saithozhaev. Lenzhen has made a habit of stopping his opponents, but he has crumbled when faced with stiff competition. Kim easily rates as one of Lenzhen’s most skilled adversaries. So, while the Russian might appear to be the more promising prospect, Kim is likely to shut that notion down. In all honesty, neither of these fighters can be expected to do much out of their home region. Kim couldn’t get past Crute or future Rizin fighter Roque Martinez, and Lenzhen has struggled to gain the attention of organizations like M-1 and ACB. In this clash, it comes down to experience. Kim isn’t a world-beater, but he’s been in there against some solid opposition. Lenzhen will seek the finish, but Kim just has to weather the storm and grind away. This one’s probably headed to the scorecards, where Kim should snag the win. Annihilation represents the least hope for a future star this week, whereas CES MMA represents the exact opposite. The company’s lightweight champion, Nate Andrews, has long seemed destined for the bright lights. However, despite his continuing success, Andrews continues to reside on the CES roster. He returns to action at the company’s 54th effort, where he’ll put his belt on the line against Bryce Logan. The 34-year-old Andrews has spent much of his career in the CES organization. After a 5-2 run as an amateur, he turned pro in 2012 and debuted at CES 11. 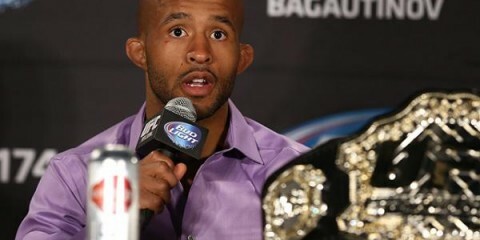 He went on a six-fight tear that included five victories under the CES banner. Four of his victories during this stretch came in the first round, including two knockouts that came within the first minute of their respective contests. Andrews finally stumbled in 2014 when he suffered a decision loss to Gemiyale Adkins. The New England Combat Club fighter responded with two knockouts and six submissions to bring his win tally to 13. Along the way, Andrews has defeated the likes of Jeff Anderson, The Ultimate Fighter seasons 16 and 25 alum Julian Lane, veteran journeyman George Sheppard, World Series of Fighting vet Bruce Boyington and Chris Padilla, a Bellator and Resurrection Fighting Alliance veteran. Most recently, Andrews added a first-round triangle choke finish of seasoned veteran D’Juan Owens. The talented East Coast fighter has tallied nine career submission victories, but he also has a knack for knockouts that has added an additional five finishes to his resume. 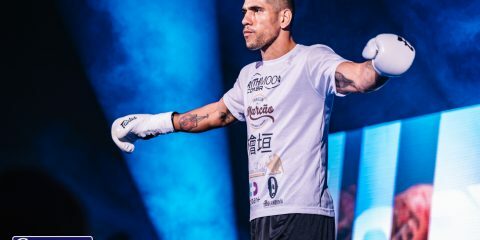 “The Snake” has eaten up varying levels of opposition, and his one setback against a .500 fighter in a catchweight contest now seems like a fluke. Logan’s accomplishments pale in comparison. The 29-year-old title hopeful posted an uninspiring 4-2 mark as an amateur, and he went just 3-2 through his first five pro fights after debuting in 2014. The Team Nak Su product suffered his first pro loss to future UFCer Te Edwards, who fights this weekend at UFC on ESPN+ 1, and his second defeat to recent Dana White’s Tuesday Night Contender Series fighter Grant Dawson. After a six-fight winning streak that peaked with a decision nod over the formerly undefeated Dakota Bush at LFA 37, Logan jumped to Bellator MMA, where he was edged via split decision in his promotional debut against Demarques Jackson. Andrews has fought some cans in his stay with CES, but Logan doesn’t fall into this category. His LFA and Resurrection Fighting Alliance performances prove that he’s an adequate challenger for the CES crown. The problem is, Andrews is developing into an elite regional talent who deserves a chance to show his skills in the UFC or Bellator. Andrews is a lethal threat on the mat, but he can also trade on the feet. Logan is most dangerous on the feet, so Andrews will target him with takedowns to bring the fight into his world. The champ has been cruising for a while now, but he could run into some adversity here. This is a real test of his mettle that could just put him over with the UFC. He’s demonstrated his ability to destroy his opponents, but he fell the one time he was really pushed. He’ll respond better in this showdown. Andrews is bound to get rocked, but he’ll fight through it, get Logan on the mat and eventually score the submission finish. With CES now broadcasting its fights on UFC Fight Pass, this might even be the win that lands Andrews in the Octagon.